Oh wow, I just saw your edit. What an utter nightmare. It has been... 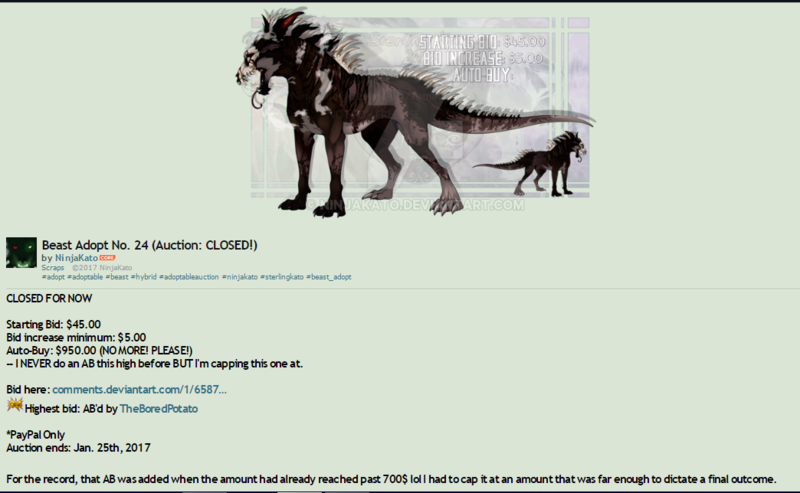 I did ask one of their 'friends' if they could contact them and ask if they could return my original $200 voluntarily -- http://comments.deviantart.com/62/6901370/4330825323 but so far have gotten no reply. 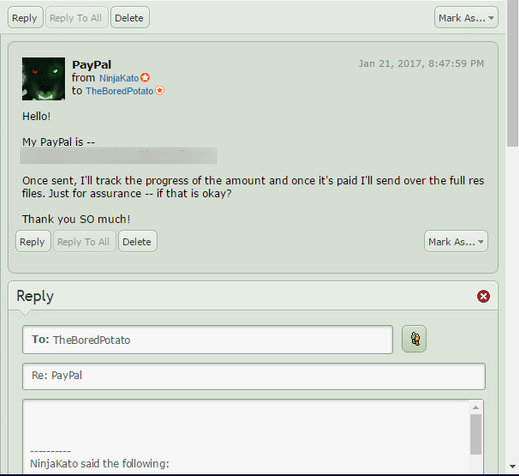 TheBoredPotato seems to have all but disappeared and as far as I know hasn't spoken to anyone about the matter -- particularly the people who were scammed. 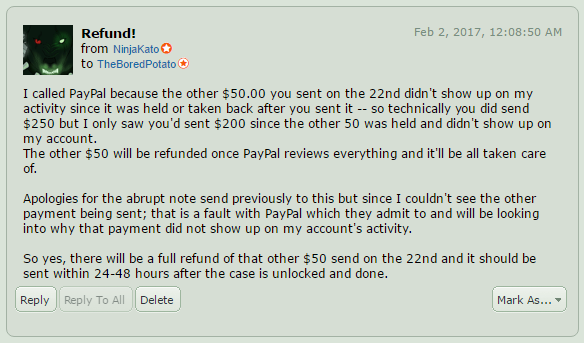 Two of the 5 cases are still 'pending' apparently but 3 (or $150 of the $250 ($450 if you include my original refund which was pointless) are already processed. 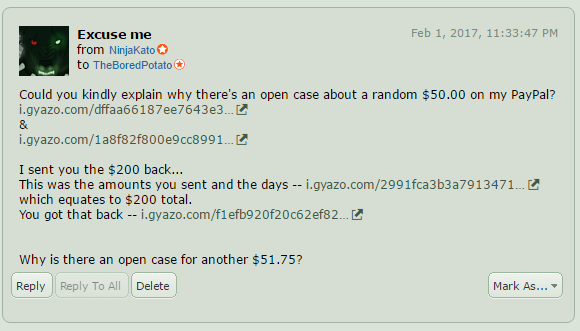 That leaves $100 that is pending still and not a single word from TheBoredPotato. It isn't looking good sadly. 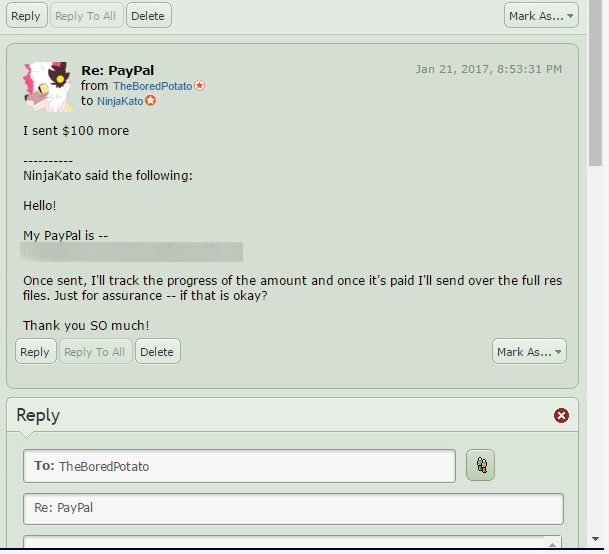 Have you tried to file a dispute on your payment to them through Paypal? Or if you paid it with a CC or bank account, filed with your bank?